A spacious terraced property within a row of 4 other properties, with 3 large Double bedrooms/3 bathrooms, in immaculate decorative order, aspect is due South East. From the front shared terrace, enter the property into a bright and spacious dining area which flows into the modern kitchen area. A hallway leads off towards the large double bedroom separate shower room, also a useful storage cupboard, an external wooden door out to the rear of the property. A small built boiler room and space for gas is situated at the back of the property. The house has two separate plots of land, one to the front of the property with a built storage shed suitable for a motorbike and garden tools, an awning is fixed to the front elevation offering much needed shade for the pretty patio area. 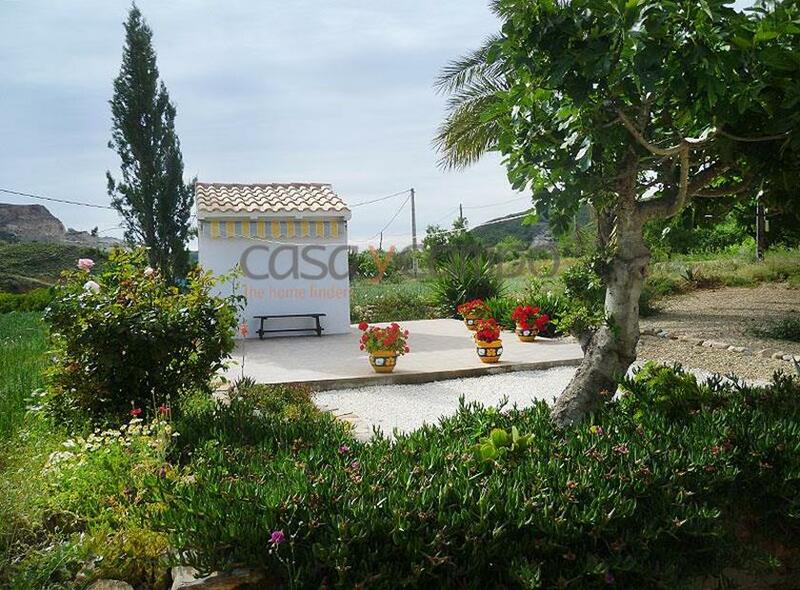 Planted with fruit trees and flowering shrubs. There is a separate plot of arable land, which is 600m2, just a short walk from the house which is perfect for growing produce. Stairs lead up from the dining area to a spacious sitting room, high vaulted ceilings and a high quality Hergom log burner, a truly beautiful relaxing space with views out to the countryside beyond. Via a wide open hallway to a further modern styled family bathroom with electric boiler, next to an additional DB/twin sized bedroom. The Master bedroom is situated at the end of the hallway, steps lead up to this bedroom space, with a beautiful vaulted ceiling and en-suite shower room. A truly delightful reformed property; which, although modern additions have been added, it still retains lots of character within. 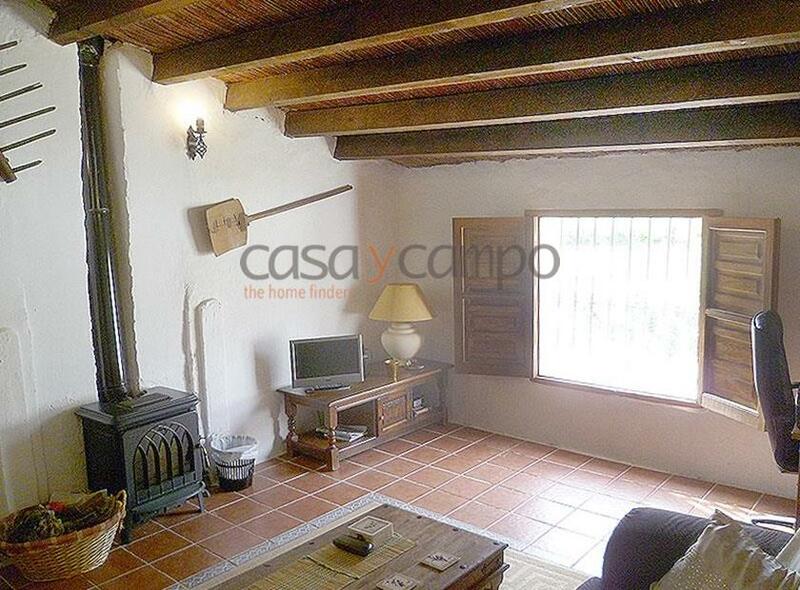 New wooden shuttered windows throughout, vaulted ceilings with cane detailed rafters, in the true Andaluz style. 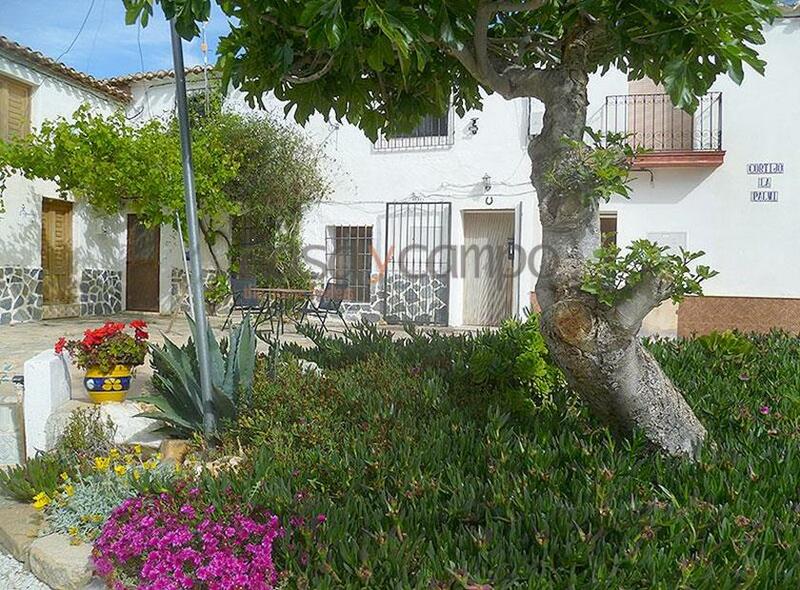 This property is perfect for those wishing to live full or part-time in this pretty location. Mains water, electric and wifi connected.